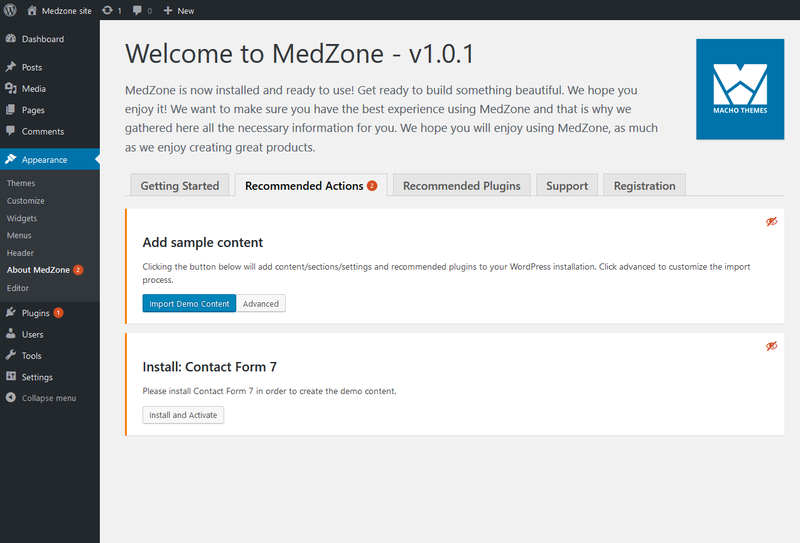 Clicking the Get started with Medzone button will redirect your to the theme dashboard. Here you will find instructions on the first steps you need to take in using the theme. The Recommended Actions tab will provide a list of the necessary plugins for the theme demo content. For the Medzone theme we only have one required plugin: Contact form 7. This plugin, as it name implies, is used to create different contact forms for your site. More information on this plugin is provided in the Plugins section of the theme documentation.